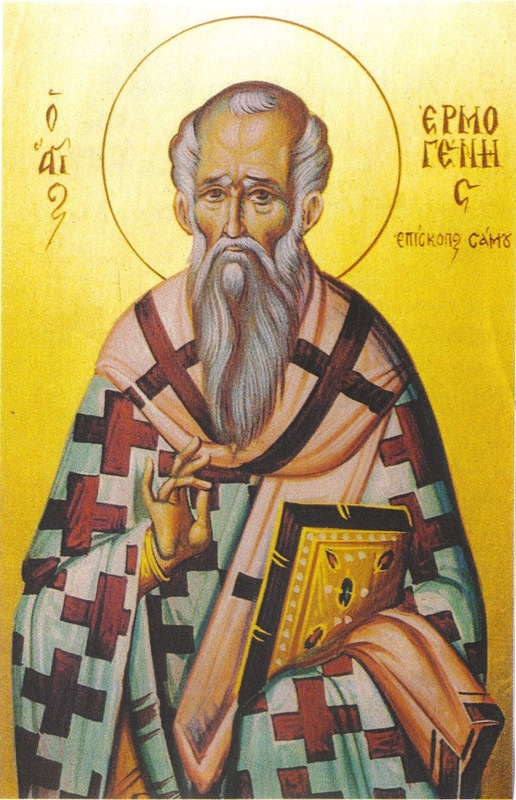 Saint Hermogenes was born in Foinikounta of the region of Attalia in Asia Minor some time in the fourth century. 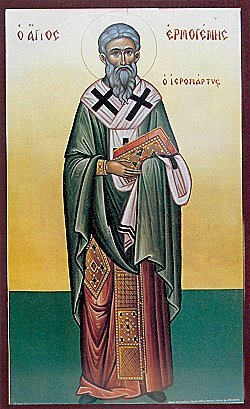 When his parents died, leaving him an orphan, he gave away his whole fortune to the poor and went off to Egypt to become a monk. 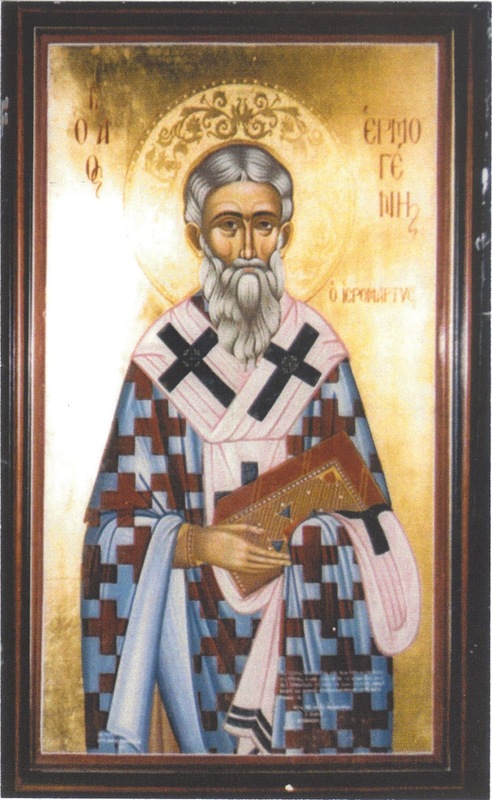 He afterwards lived in Athens and Constantinople, where he was ordained priest. He was eventually consecrated Bishop of Samos, where he shepherded the flock of Christ with zeal and love, and converted many pagans to the faith of Christ. The pagans of the island denounced the Bishop to Governor Saturninus, and he was put to the torture for refusing to deny Christ and sacrifice to the gods. He was suspended and lacerated followed by his wounds being burned with lit lamps. After this he was imprisoned and chained. Christ appeared to him in prison however, healing his wounds and consoling and encouraging him to persevere in the contest until the end. 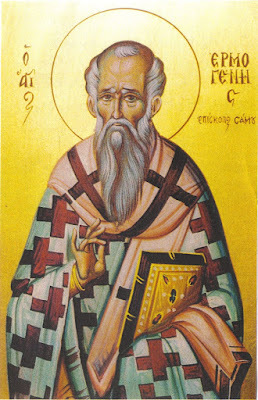 The next day Bishop Hermogenes was tied to horses and dragged along the ground, which caused his flesh to rip off. 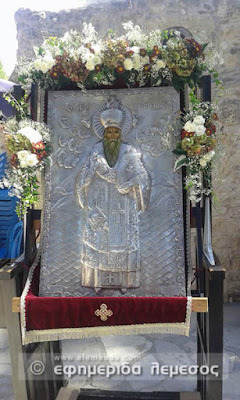 With greater courage the Saint denounced the idols, for which reason his teeth were forcibly removed and he was cast down a cliff. 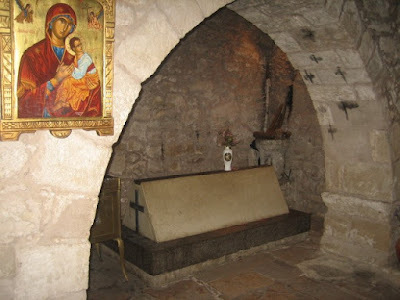 After all this his wounds were healed and he was further tortured, but he still remained firm in his faith. 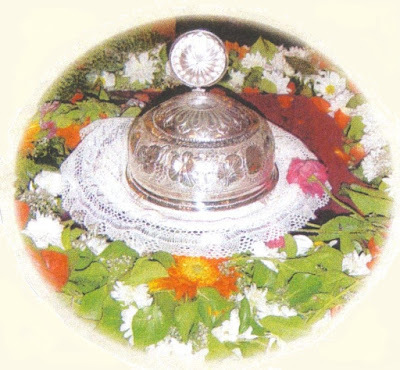 This caused many witnesses to convert to the faith of Christ. Enraged by this, the governor had him beheaded. 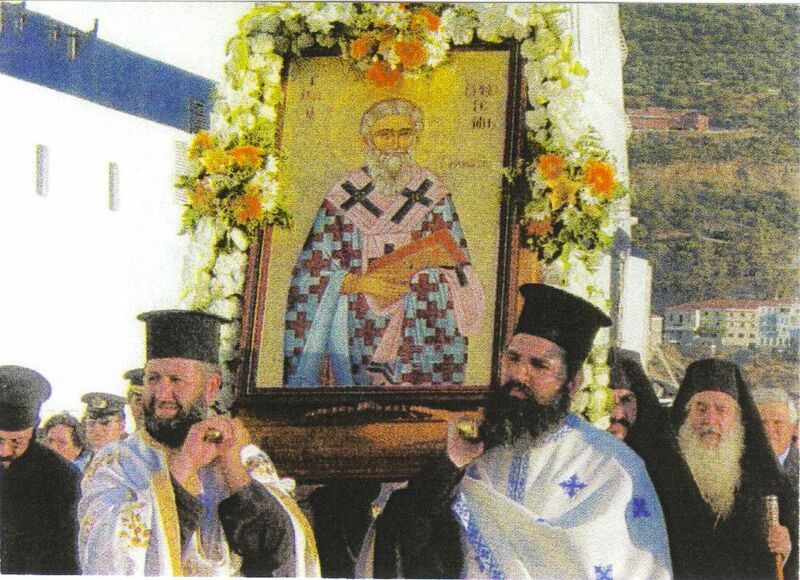 His sacred relics were stolen at night by fellow Christians and placed in a box then committed to the waves of the sea. By divine Providence his remains were found on the shore of Cyprus near Curion. 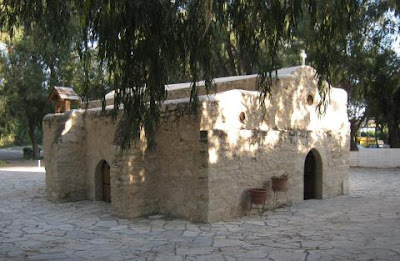 Miracles soon followed, and a church was buried over the place of his burial in Episkopi. In time this church fell to ruins, but it was rebuilt in the seventeenth century. 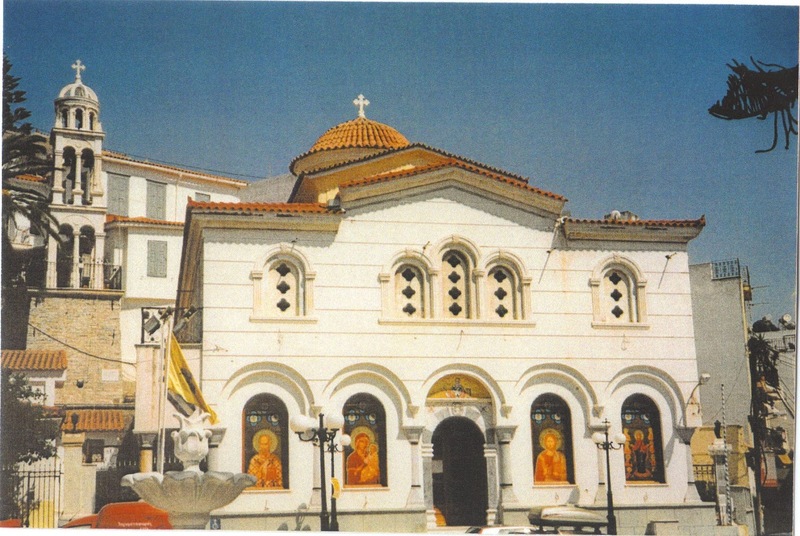 In 1772 Bishop Makarios of Kition published his Divine Office at Venice. 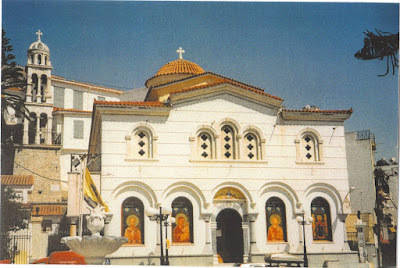 In 1991 Archimandrite Nikodemos Paulopoulos of the Leimonos Monastery in Lesvos composed another Divine Office for the Saint. 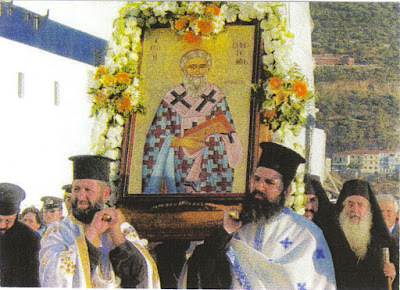 On Saturday 10 July 2004, Metropolitan Eusebios of Samos had a portion of the skull of the Saint transferred from Limassol to Samos, where it was received with great celebration and processed from the port to the Metropolitan Cathedral of Saint Nicholas. 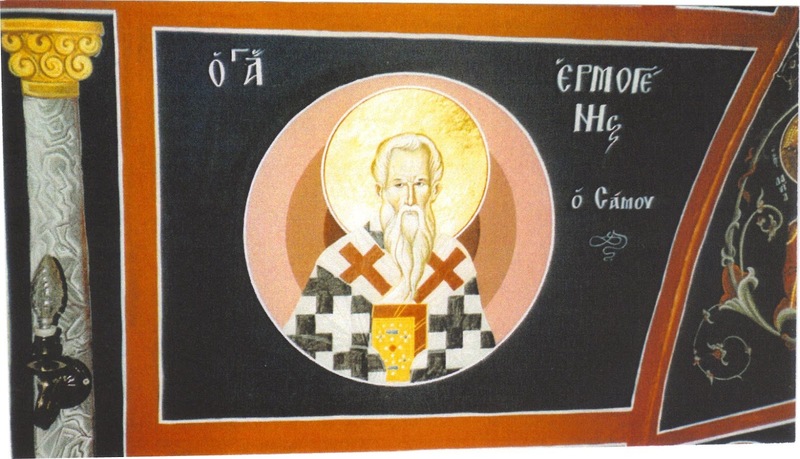 Offshoot of Foinikounta and support of Samos, protector and guardian of Cyprus, you have been seen to be our Holy Father Hermogenes. Having passed through the sea as one alive, and restrained the waves, your coffin wondrously settled in the city of Episkopi. Glory to Him Who made you well-pleasing to God, glory to Him Who gave you to us as a guide, glory to Him Who through you works all forms of healings. 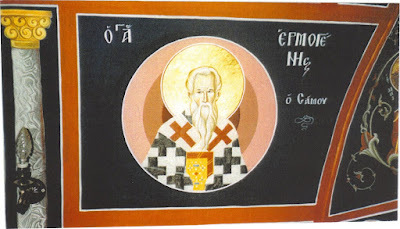 Boast of Samos and glory of Cyprus, let us all praise with hymns Hermogenes who received radiance from the Trinity, and as the sun illumined the ecumene, wherefore we eagerly ascribe hymns and veneration to him, saying: Rejoice, Venerable Hermogenes the Wonderworker.